It’s interesting that I come to write about this walk in this moment, as I’m contemplating a return to the same area this coming weekend, with a few added miles. 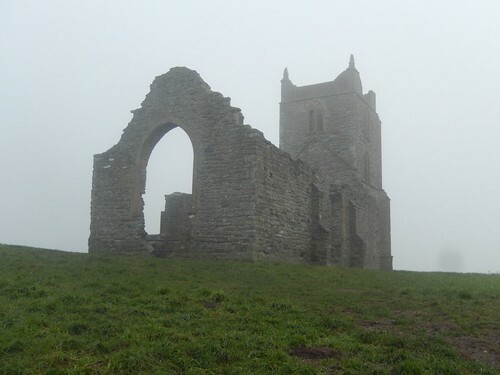 Burrow Mump is best-known for its iconic church ruin atop the mound. 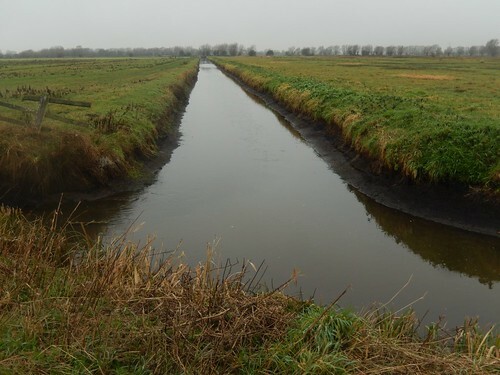 South-east of Bridgwater but deep within the Somerset Levels. There’s a convenient free-to-use car park at the foot of the hill, which is provided by the National Trust. 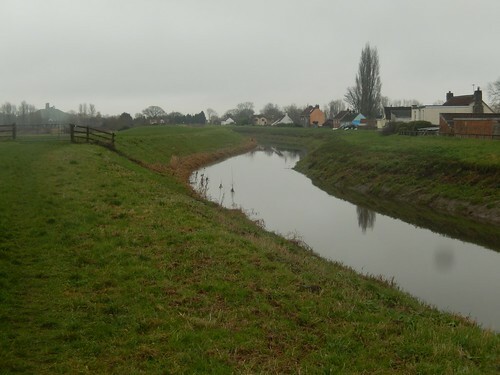 This is right alongside the A361 – a road that connects Taunton to Glastonbury. 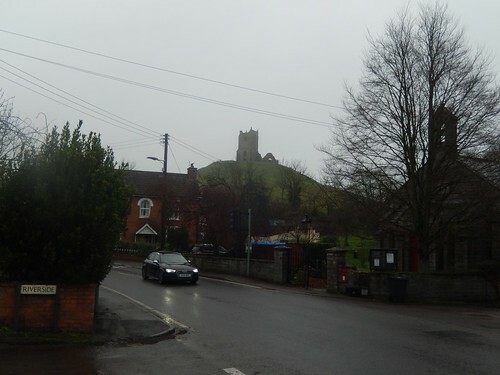 From the M5, I was just about able to navigate my way there without needing a SatNav (follow signs of Burrowbridge then look for the church-topped mound). 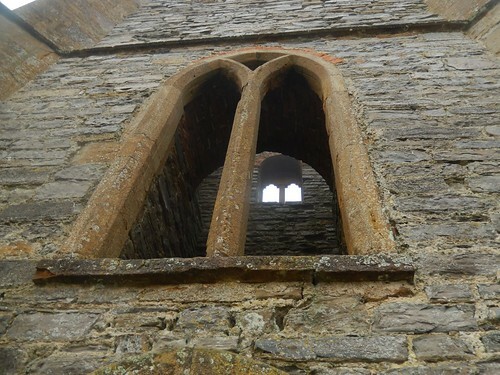 Of course, this walk began with an immediate ascent to the top of Burrow Mump. 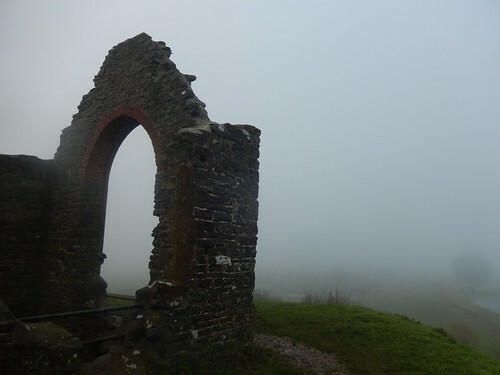 An information beside the car park informs that both words translate to “hill”… So, if I haven’t mis-read, that means Burrow Mump can also be known as “Hill Hill”. Yet again, I’d chosen a day of limited visibility to embark on this adventure. I nearly lost my footing climbing up the north side. There was an absence of livestock but the scent of what they had left behind was evident. 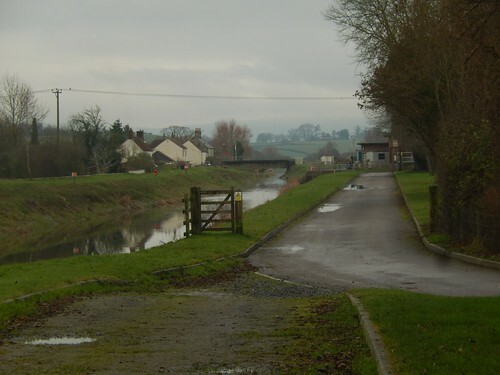 Onwards, I continued over the hill and in to Burrowbridge. Being unfamiliar with the local area, I chose to follow an AA Walk turning north along the road I had driven down and then right on to Burrow Drove. How much mud was I going to encounter on this walk? 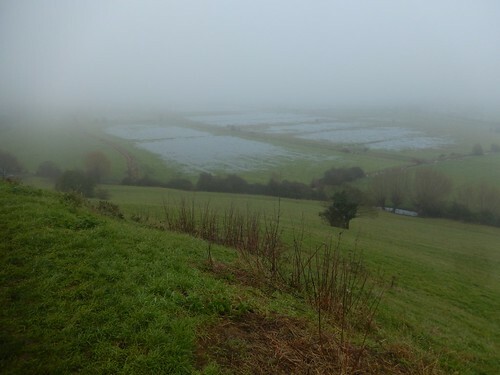 Deep within the Somerset Levels, it also seemed possible I may encounter the odd waterlogged field. Initially, at least, the going (for a January walk) was good enough along this track. Rhynes everywhere. Running straight, true and who-knows-how-deep. At the end of this path, I turned right on to Broad Drove. Gone, was the substance beneath my feet and here, now, was the mud. In truth, there was nothing that couldn’t be avoided. 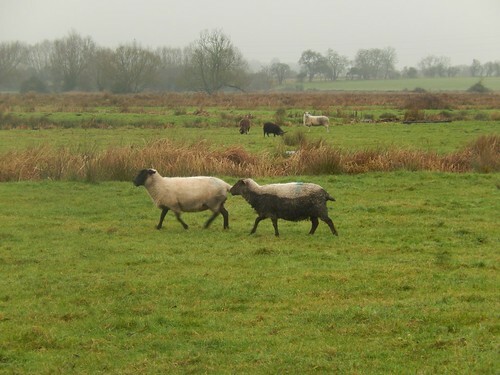 Although, one sheep in a field across the rhyne may argue otherwise! 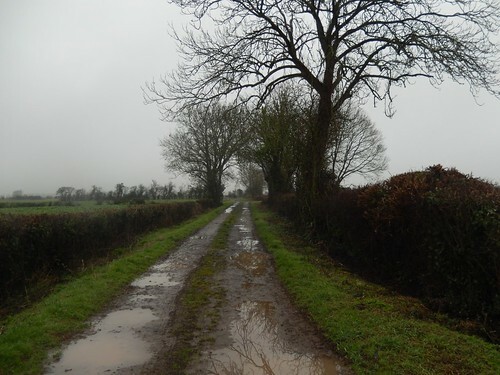 Upon passing Burrow Wall Farm, I would cross the A361 and follow another muddy path towards Grove Farm. 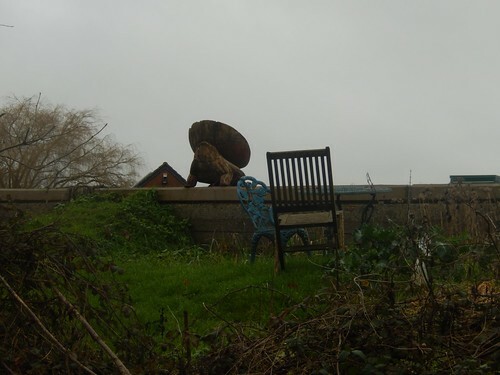 It seemed quiet, as I approached the farm buildings and house. 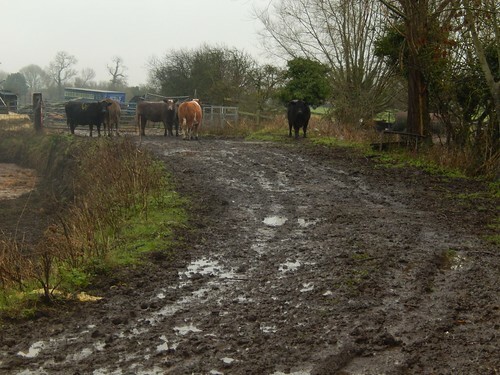 Keeping to the right, I could soon see metal kissing gate – with the herd of bewildered beef guarding it! They didn’t bear the most welcoming of faces but raising my arms was enough to frighten them in to stepping aside. Beyond a couple of fields, I arrived in the village of Pathe (with no indication on how to pronounce it). 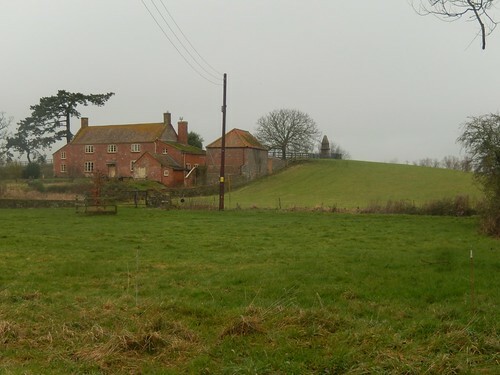 Soon, I was greeted by a passing runner and then, as I looked to leave the road for a footbridge and the next series of footpaths, a passing car waved at me… Pathe must be a very friendly and welcoming place to live! Back to the moors and a reassuringly sound but green surface beneath my boots. 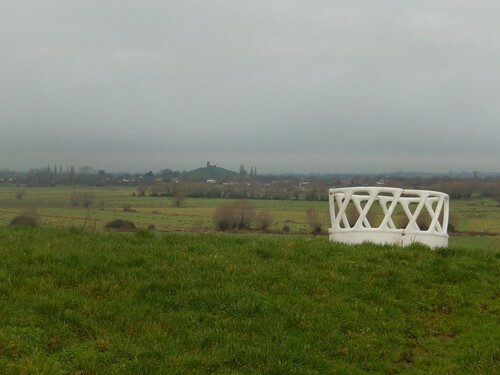 Burrow Mump could be seen from afar – almost like a younger sibling to Glastonbury Tor. I wonder, was this once tall enough to be an island? 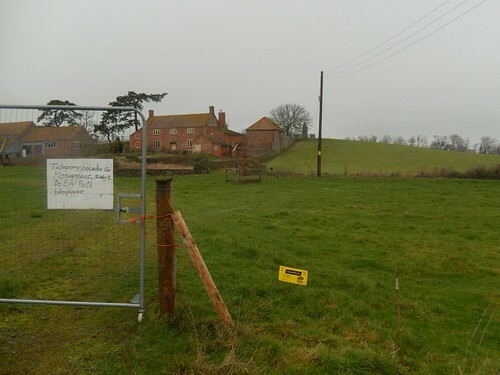 Another man was treating the space as if it were Open Access Land; walking far and away from the official right of way as marked on the Ordnance Survey map. 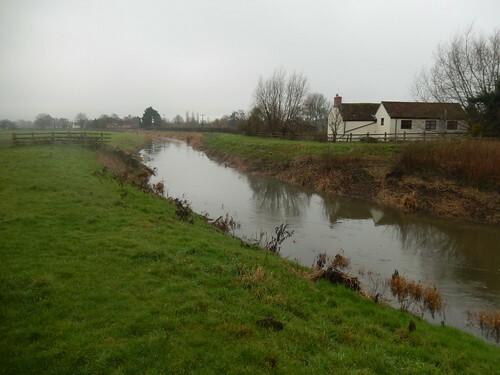 Also, I could see another gentleman on a similarly casual walk beside Wookey Rhyne, which looks more like a river. Perhaps it’s a case of paths not being on the map or, relaxed laws in this part of the world. Maintaining this level walk, I was en route to the village of Stathe. 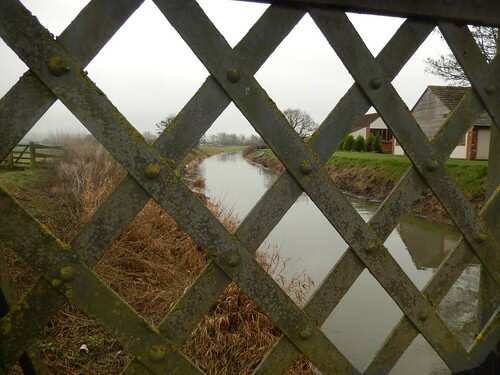 I’d also joined the MacMillan Way West, East Deane Way and the River Parrett Trail – the first of which, I’d previously followed across the western Quantocks. While, further north, I have completed the tail-end of the riverside trail with a friend. 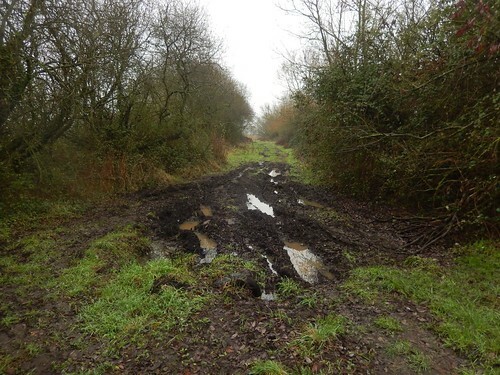 Strangely, only the West Deane Way is featured on the long-distance walkers’ site. 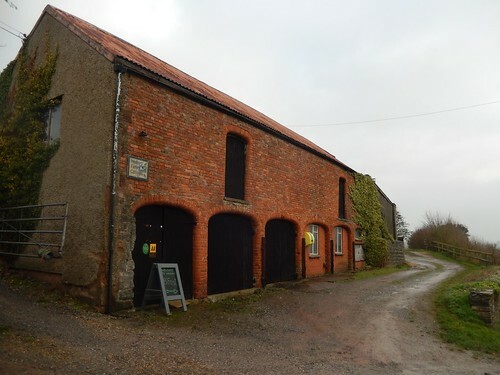 I had decided to continue following the road (and the River Parrett Trail) further and would soon pass the aptly named Walker’s Farm – they even do breakfasts, according to the sign! I wasn’t looking to sit down and fill myself up and so, I continued along the road as it began to follow an incline, soon to cross over the railway line. Further south, I could see the cloud rising to reveal a grey sky overhead. 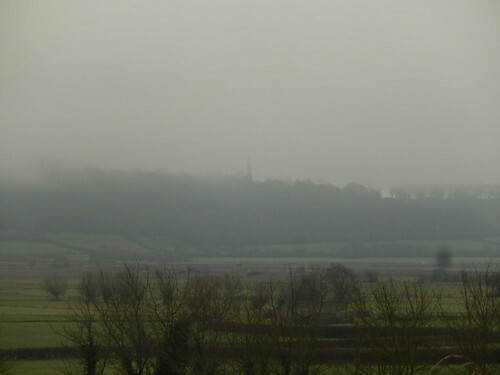 Upon closer inspection, I could make out what I believe is the Wellington Monument on the Blackdown Hills, close to the Somerset-Devon border. This is another area I’ve yet to explore. Each time I see one of these signs, I find it very irritating. This is a bridge… This is the bridge… It makes no sense to me at all. Is it a regional thing? Does this continue across the UK? I am obliged to slow down and read such a sign each time I drive past and I’m yet to find one that I am satisfied with. 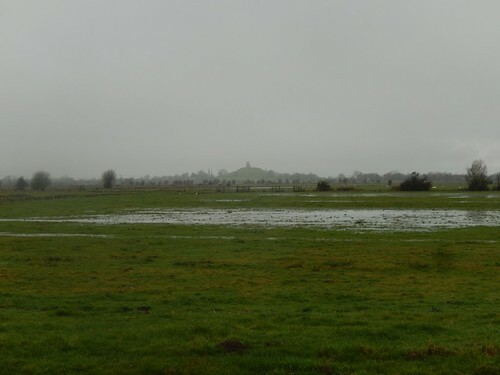 Further good views of Burrow Mump became available to the north. 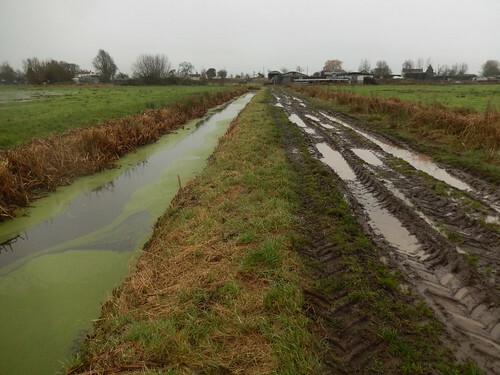 Beyond Slough Court, I took a shortcut of a right-turn across a series of fields. 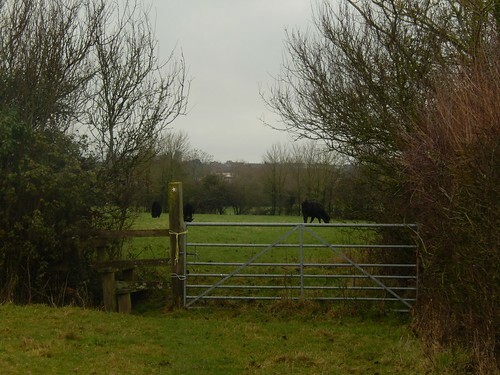 While the cows in the third field had run off before we even made eye contact, I wonder if they’d also happened to take the waymarkers with them because there wasn’t one beyond the stile and I think even a local would’ve struggled to find their way (legally) without a map. 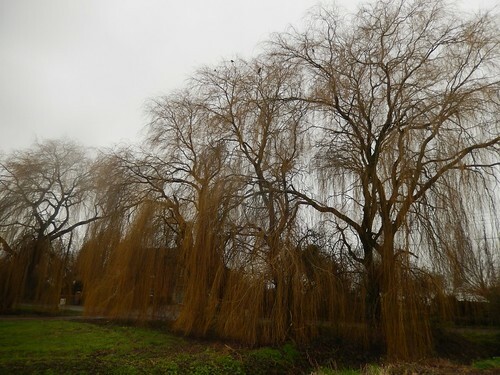 Just outside of Curload, I rejoined the River Parrett Trail beneath the weeping willows. There’s also a business here that specialises in willow weaving (so much so, it’s even highlighted on the map). 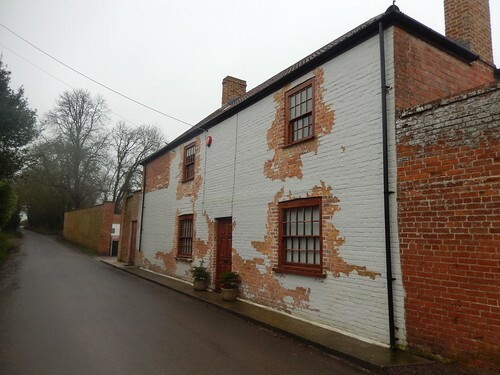 Road walking resumed for the next mile towards Athelney, as I passed by wonky-looking houses that had possibly fallen to subsidence over the years. 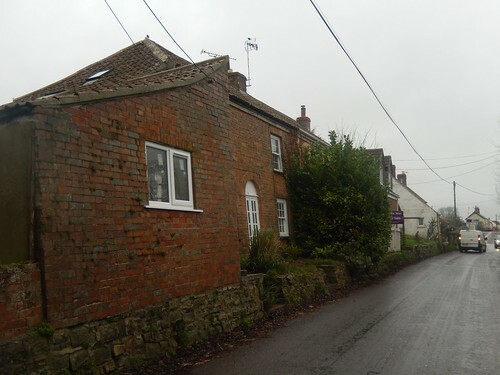 Some of Glastonbury’s streets are lined with similar ‘features’. 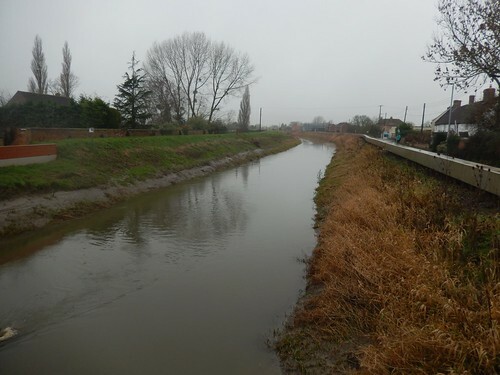 This stretch of the trail runs so close to the River Parrett and yet, it’s inaccessible beyond the houses and private gardens. Even as I crossed the road bridge, there were stark signs to warn against public access. 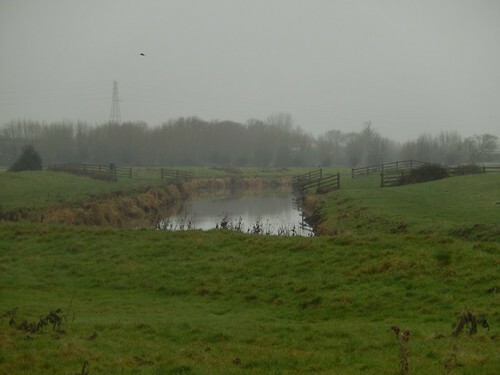 Much of the land across the river is owned by the Environment Agency. I’m sure they have a good reason but, so much road walking for a riverside trail… It’s disappointed. 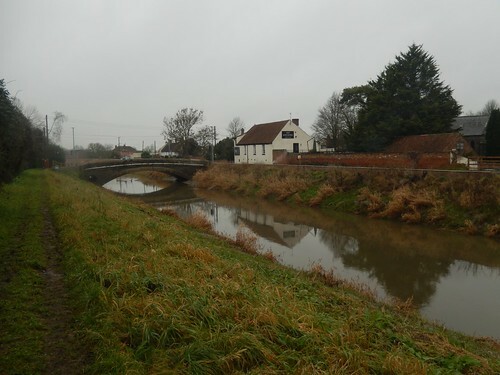 Walking north from Athelney, however, a public right of way does run close to and alongside the river. Beyond Athelney Farm to the left lies King Alfred’s Monument, at the top of a hill. 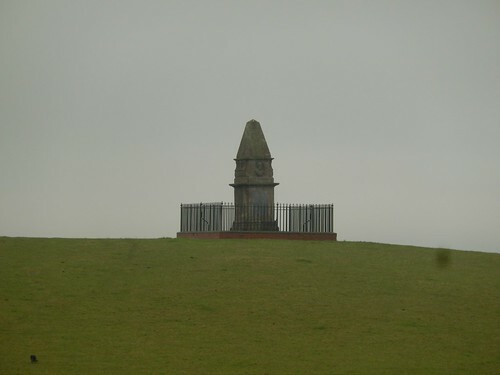 I believe it marks the site of a former chapel. I tried following the wooden arrow before almost tumbling over the knee-high wire fence. 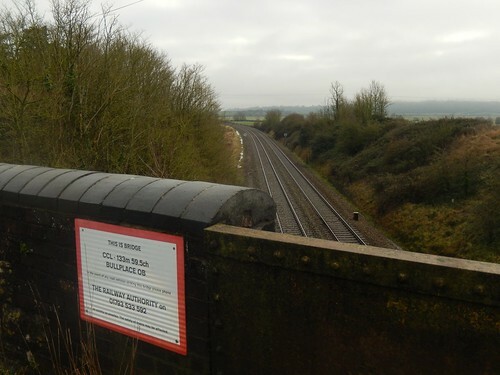 It seems as access is currently prohibited, while any right of way is permissive (and not marked on the map) at the best of times. Well, I took it to mean that access was temporarily not allowed. However, I don’t think the sign was created by an employee of the Environment Agency. Moving on and I felt good to be walking beside the river again, precisely as this trail was surely intended to be. 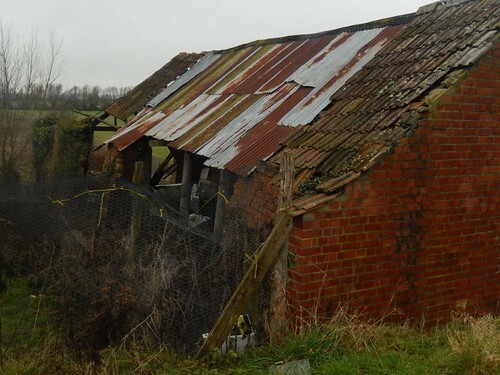 It was between Brooks Farm and Creed’s Farm that I found this grossly-neglected buildings… How they were still standing, I do not know! 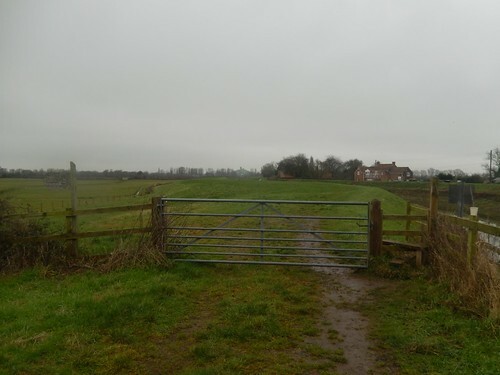 I soon return to the roads and, half-expecting to plod along tarmac and pavements for the final duration, I spotted a kissing gate opposite that would apparently lead to a riverside path not highlighted on the map. So, I got to explore a new area, finally see (and smell) what Burrow Mump is about, didn’t sink in to any mud or bog and added a few miles to make the hour-long drive worthwhile. This was all before diverting to Taunton for not-my-first-trip-to Go Outdoors, there. Sometimes, a shorter walk is more convenient. 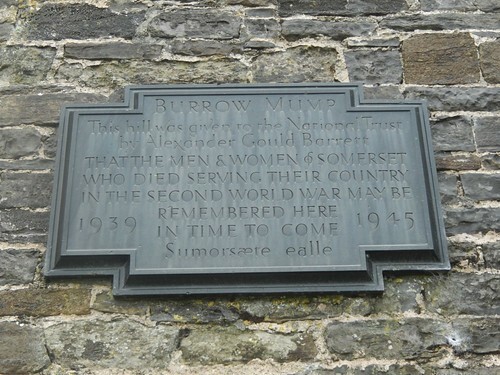 Burrow Mump is an excellent name! Love it. Shame the views were poor. 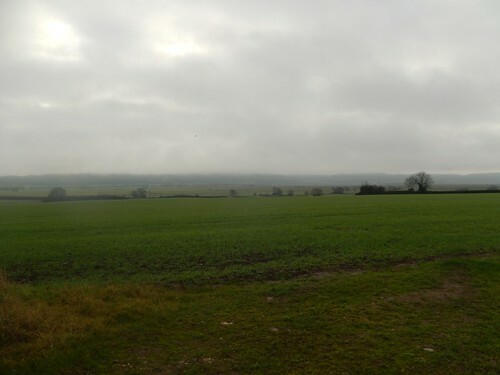 It’s generally been a dismal winter for walking due to murky weather. I love the way you get irritated by the bridge signs, Ollie. 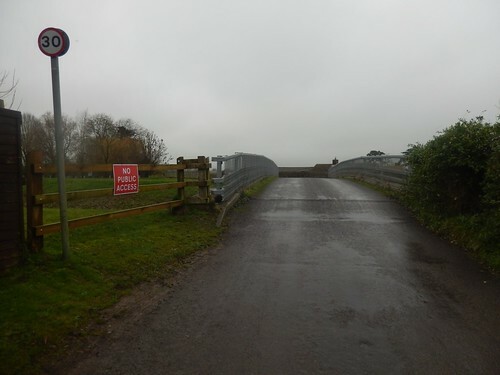 I think they mean ‘This is bridge number…’ but it’s badly laid out. Ah, that would make sense on the bridge signs. Have you seen them in other parts of the country, Ruth? To me, this seems to have been the murkiest of winters of recent years. Certainly, since I started walking in 2012.